Today's post comes from Kerry of PennyDog and trufflepiglet chocolates. 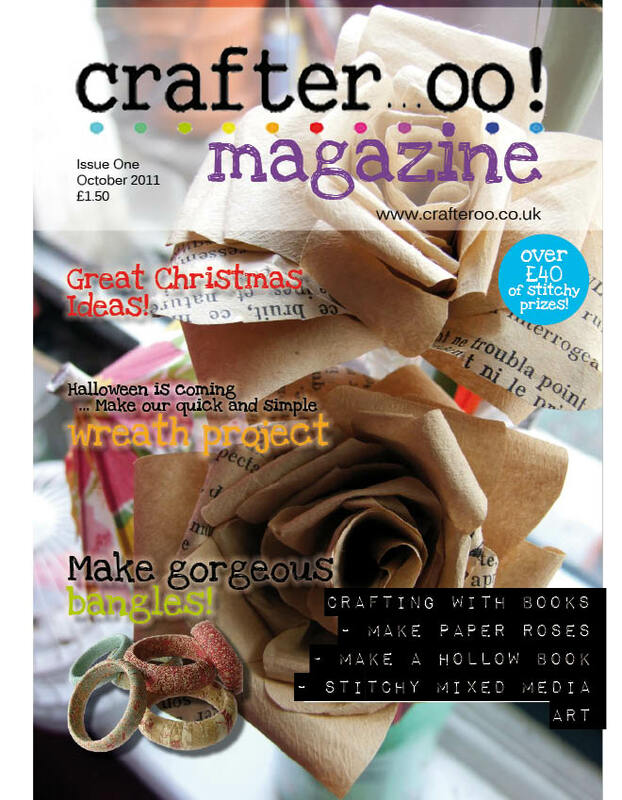 As an avid member of the Crafteroo forum, she has co-ordinated their latest project- a light-hearted but informative quarterly magazine filled with projects, competitions and tips for improving the way you sell your crafts. Earlier this year the Crafteroo forum was getting a bit tired. At 3 years old, we had seen many different crafters pass through our doors, get successful and then not have the time to come and hang out any more. Also with all of the other forums out there- whether international and long established, or newbie forums to coincide magazine launches- it was becoming a challenge to let people know that, hey, we’re out there too and we’re really great! We needed something we could plug away at, and so we decided to create a magazine on a quarterly basis. This really got everyone’s creative juices flowing and it was great seeing everyone so enthusiastic! It’s been a lot of fun putting it together. The work is all done voluntarily, from writing the articles, to proof reading to physically putting the items on the page and creating the interactive document. There is a cover charge of £1.50 but this means that we can use the money to pay for the forum hosting, for any upgrades to keep it fresh and exciting and also for any promotion for the magazine that might cost money. 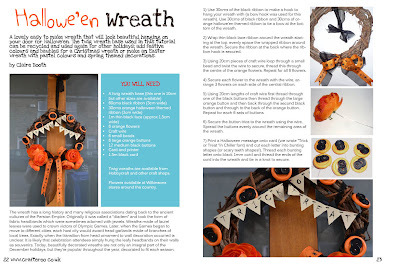 Anything left over can then be used to fund craft challenges, which we hope will keep you coming back for more and really grow our internet presence, because we're a friendly place and everyone should know about us! The first ever issue is out now. 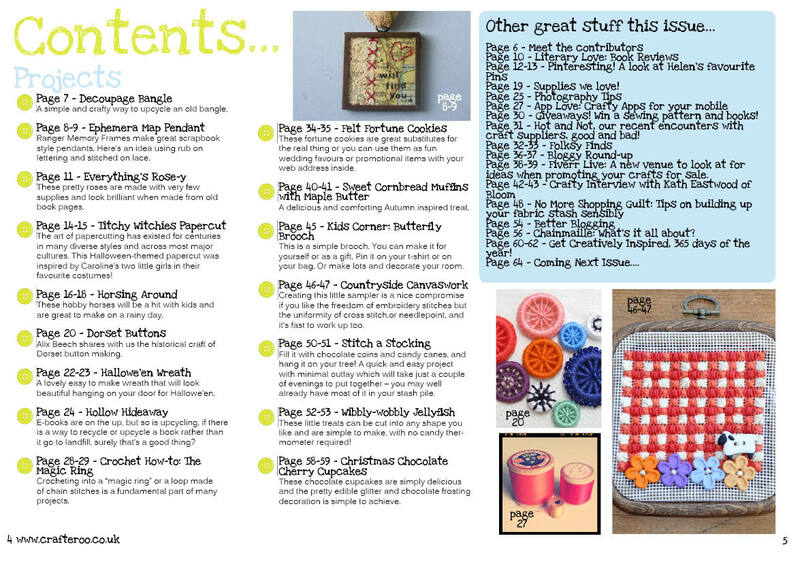 You will get instant access to it via the forum for 3 months- that’s only 50p a month!- and it has 17 projects as well as some new ideas for improving your craft business. 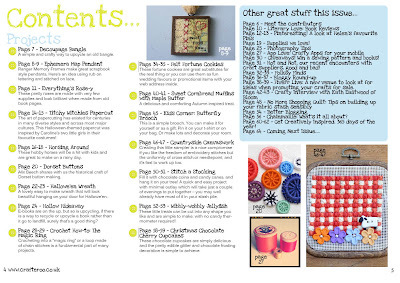 CLICK HERE to check out the list of contents for issue 1 of Crafteroo Magazine and view a stitchy extract, and CLICK HERE if you'd like to buy the full magazine.